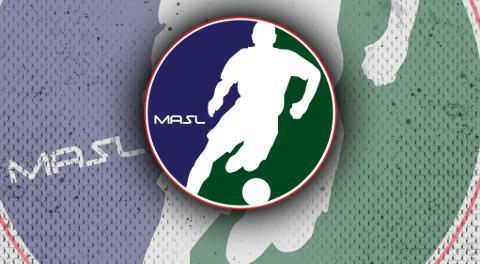 KANSAS CITY (Jan. 16, 2019) –The Major Arena Soccer League (MASL) Week Seven Team of the Week was announced this morning. Players named to the Team of the Week will be eligible for the Week Seven Player of the Week award. The Player of the Week is voted on by a combination of fans and the member teams of the MASL. Diego Reynoso (Monterrey Flash) – Reynoso has always been strong in the nets at Arena Monterrey, but this past weekend he got the chance to show his skills away from home. He started the weekend with a strong performance in a tough battle against the Tacoma Stars, then followed it up with a .929 save percentage and 5-1 win against the Dallas Sidekicks two nights later. Gustavo Rosales (RGV Barracudas) – The Barracudas have the league’s best defense, thanks in no small part to the play of Rosales. He led the defense that only gave up three goals to the Turlock Express, then added to his team’s offense with a goal and two assists. Adriano Dos Santos (Baltimore Blast) – Dos Santos has been a constant force defensively for the Blast this season. With the Harrisburg Heat and former defensive linemate Pat Healey in town, Dos Santos was able to keep his team in check throughout a tight first half and then pull away for the win in the second half. Dos Santos added three assists to his team’s efforts. Gordy Gurson (Orlando SeaWolves) – Gurson exploded for the SeaWolves in the second match of the Sunshine State Series. Orlando jumped to a 4-1 lead by the end of the first quarter of that game and never looked back. Gurson was involved in three of those first four goals, assisting on two and scoring one. He added three more goals in the other three quarters and ended with a six-point night (four goals, two assists). Franck Tayou (Monterrey Flash) – After a relatively quiet start to the season, the three-time MASL MVP returned to the top of the leaderboards this weekend. He scored 70% of the team’s goals over the weekend, with five against the Tacoma Stars and four more against the Dallas Sidekicks. However, the real highlight of Tayou’s weekend was his game-winning goal against the Stars with 5.7 seconds left in the match. Nick Perera (Tacoma Stars) – Perera helped the Stars rebound from a tough weekend last week. Although they lost their first game, he provided a goal and an assist to keep the Stars in it until the very end. The next night, his team got right with a big victory over their division rivals, the Ontario Fury. Perera added another goal and five assists to the team’s 8-5 effort.